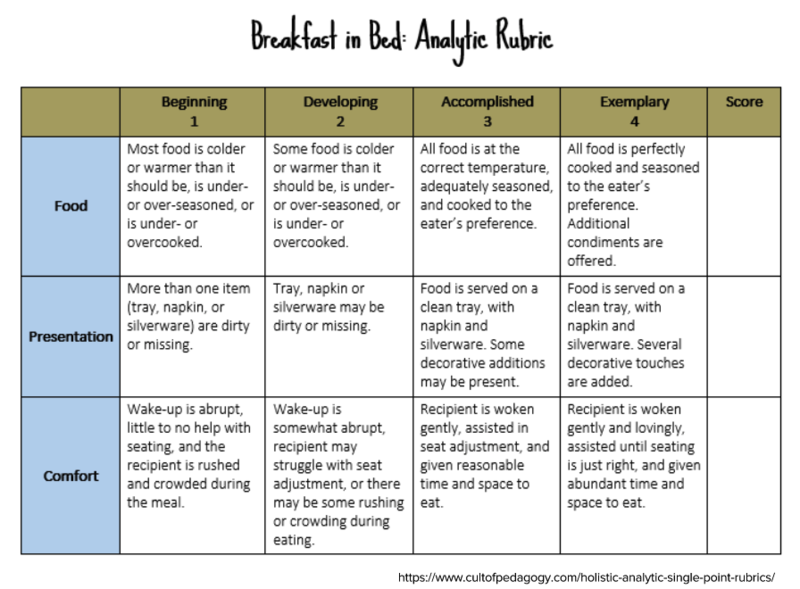 Rubrics play an important role in the assessment process. They provide a framework that helps both students (and teachers!) gauge and understand the level of student performance across different evaluation criteria or rubric components. 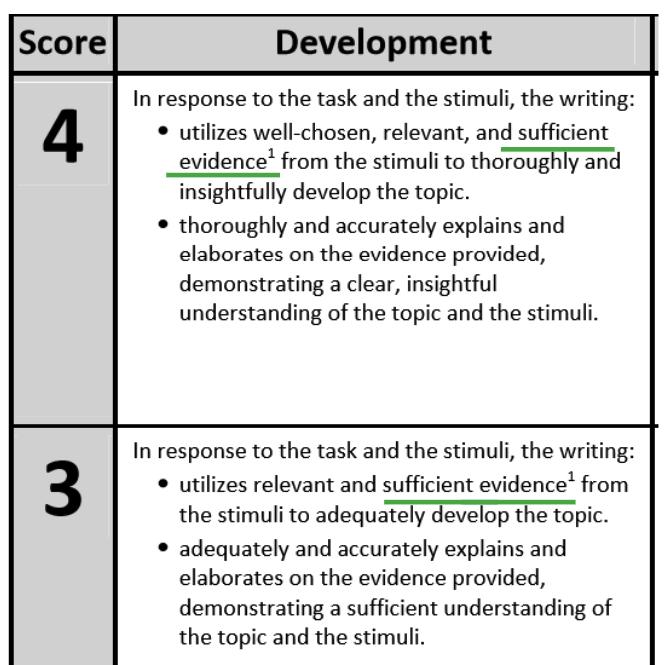 The level descriptions for each rubric component give meaning to the score and offer a common vocabulary for understanding the key expectations of the assignment. Further, rubrics guide future instruction (for teachers) and revision (for students). An evaluation tool that describes the criteria for performance at various levels using demonstrative verbs. At the start of the new school year or before beginning a new assignment, it's important to evaluate your rubric. Is it well-designed? Does it clearly communicate your learning expectations? Does is adequately measure content skills? Process skills? Are there any grey areas of possible points of confusion? Watch out for "grey areas" in the rubric. For example, what does “sufficient evidence” mean? Is it a certain number of quotes? The quality of the quotes? This is an example of a grey area that needs to be defined - both for you and your students. Every member of the team applies the rubric consistently across students. Teachers score consistently with one another. Teacher Tip: Norming can happen at the department or grade level, but it can also happen dynamically with your students. Even if you don’t have a norming session with other teachers for every assignment, you will always want to norm with your students so they are set up for success. Read and discuss each rubric component as a class and encourage students to ask questions or score their own work or the work of a peer. Schedule a set meeting time and place. Distribute and review the prompt, rubric, and student work samples. Individually score sample student work using the rubric. Present scores individually and identify common discrepancies as a group. Discuss the grey areas that led to discrepancies in scoring. As a group, come to a consensus on how to apply the rubric to student work to ensure consistency. If available, compare your scoring to an expert’s scoring to calibrate. Finally, be conscious of your own biases! Read the prompt. Do you have a strong opinion on the task? Take breaks. Grading fatigue is real and can hurt your accuracy and consistency. Accept that some papers will be more challenging to read than others. Whenever possible, grade anonymously. Even if you don’t know the students personally, gender and ethnicity can affect how you grade. Want to learn more? Email hello@thegraidenetwork.com to inquire about our teacher PD and extended learning offerings.